WASHINGTON — Satellite fleet operator AsiaSat of Hong Kong reported a 6 percent increase in revenue for 2017, bolstering the company’s claim that Asia’s demand for broadcast and connectivity services is strong enough to gradually overcome a regional oversupply of satellite capacity. In a report to the Hong Kong Stock Exchange, AsiaSat said March 23 that AsiaSat-8, a satellite that Israeli fleet operator Spacecom is borrowing for $22 million a year until 2020, is boosting revenues. So is AsiaSat-9, a new satellite from Space Systems Loral that launched on an International Launch Services Proton rocket in September with coverage of Indonesia, Myanmar and other Asia-Pacific nations. AsiaSat reported revenues of 1.35 billion Hong Kong dollars ($173.3 million) for 2017. Profit similarly increased 6 percent to HK$397 million, not including a tax provision reversal of HK$55 million in 2016. 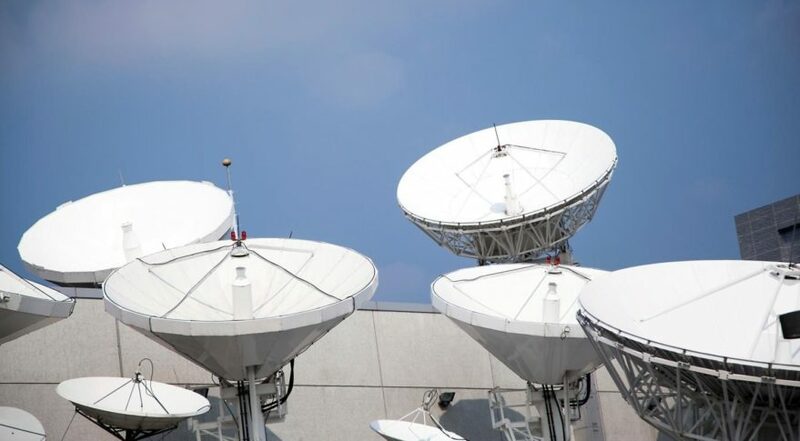 The fill rate on the company’s six-satellite fleet, even with the introduction of new capacity from AsiaSat-9, rose 2 percent to 69 percent. “The Board of Directors remains cautiously optimistic about AsiaSat’s long-term video and data distribution strategies for national and international markets … Despite ongoing pricing pressures, regional demand for video and data services will remain solid, especially with respect to demand for ever higher quality and higher speed video content from the younger middle class population,” AsiaSat Chairman Gregory M. Zeluck said in a statement. AsiaSat said a customer has leased the entire AsiaSat-4 payload — the satellite AsiaSat-9 was designed to replace — and that revenue from the new lease “will be seen in 2018.” AsiaSat-4 launched in 2003 and is now at the end of its 15-year design life, though geostationary satellites often last longer. AsiaSat’s backlog decreased by 9 percent to HK$3.68 billion Hong Kong dollars, a drop the company attributed to pricing pressure and customers signing contracts of shorter length than historic norms. Broadcast customers in the past would often sign capacity leases for 10 or more years, but have in recent years opted for shorter contracts as online video streaming gains popularity. Television channels upgrading to high definition and thus requiring more bandwidth are driving growth, AsiaSat said, as is greater demand for satellite broadband services. AsiaSat said it continues to make plans for a high-throughput satellite for the Asia-Pacific, one that will bring substantially more capacity for broadband data services. Zeluck cited aircraft WiFi as a driver to field the more powerful satellite, but gave no timeline for procurement. AsiaSat today has high-throughput Ka-band payloads on AsiaSat-7 and AsiaSat-9, but no fully high-throughput satellite. At World Satellite Business Week last September, AsiaSat’s Chief Commercial Officer Barrie Woolston said the company would soon order a modest-sized Ka-band high-throughput satellite with a focus on China, and planned to have it in orbit by 2020. AsiaSat’s ability to reach into the Chinese market may protect the company from oversupply in other parts of the Asia-Pacific given the regulatory difficulty non-Chinese operators have accessing that market. Other HTS operators also are targeting China, including London-based Inmarsat, APT Satellite of Hong Kong, and China Satcom in Beijing.